So, I haven’t really been taking many photos recently. I tend to go through phases, and seem to be in my uninspired photography phase at the moment. Not great, but as with all things in life, it won’t last forever. Despite this, two places I visited recently managed to spark a sudden burst of artistic inspiration: the little Swartland it-town of Riebeek Kasteel and Vergelegen Wine Estate in Somerset West. 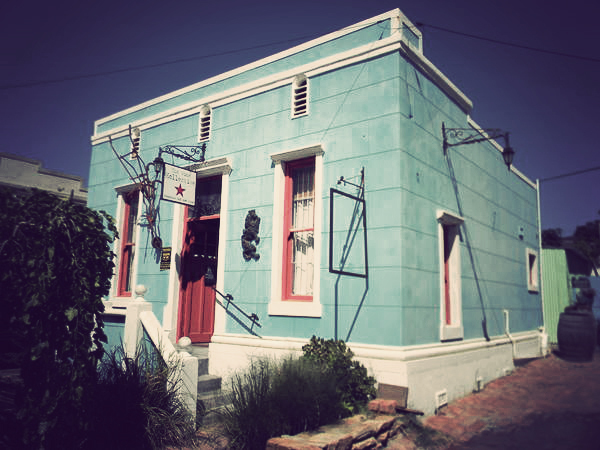 There really isn’t that much more to say about Riebeek Kasteel than that it’s everything you would want a quaint little Swartland town to be: pretty, full of intriguing shops, awash with wine, populated by fascinating people. 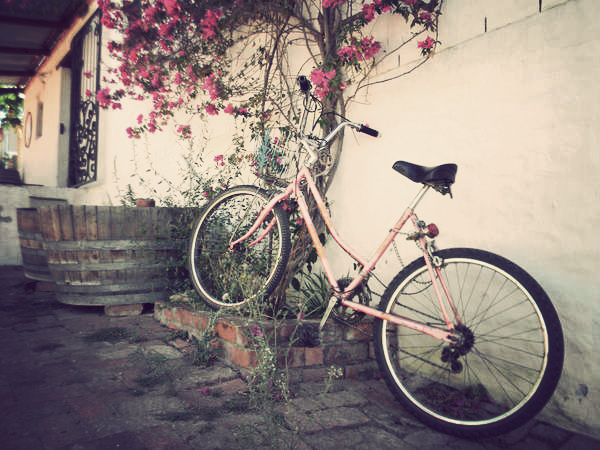 Perfectly posed: Pink bike and bougainvillea. 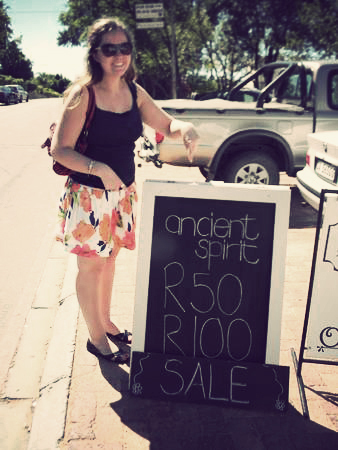 Need an ancient spirit to guide you? Get one for just 50 bucks! Vergelegen, on the other hand, way surpassed my wine farm expectations. 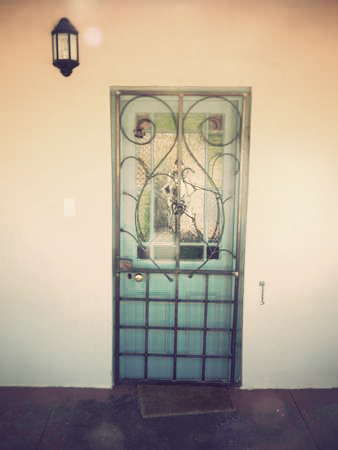 It is an absolutely fascinating gem in the backstreets of Somerset West. Okay, I guess not really the back streets, but it kind of felt that way driving there. 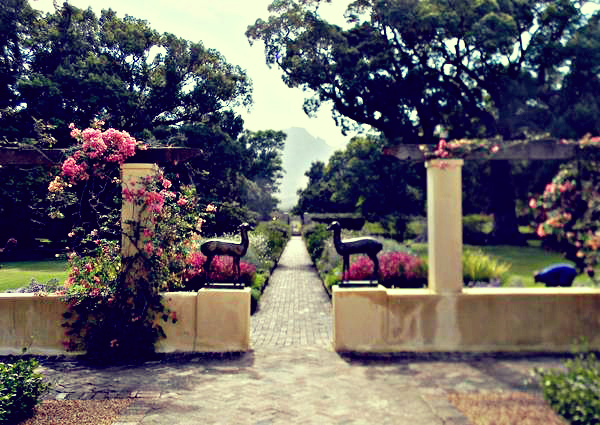 The Vergelegen manor house garden. Two fawns keep watch. At 3000 plus hectares, it is a MASSIVE property with magnificent gardens containing everything from gigantic 300-year old camphor trees planted by Willem Adriaan van der Stel to a selection of proudly South African roses. There’s a picnic spot in a mini forest, an old manor house reconstructed and furnished in the style the Van der Stels would have subscribed to. 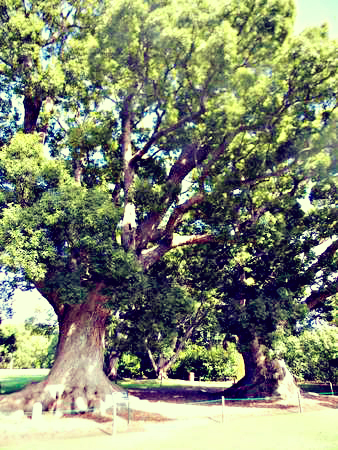 These magnificent camphor trees have been proclaimed a SA heritage site. 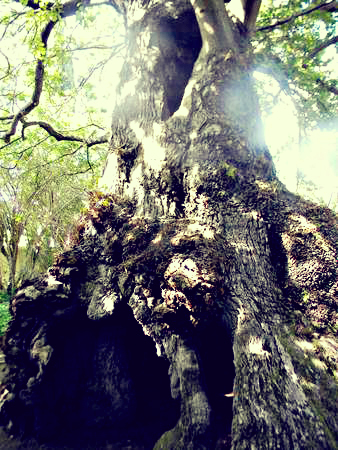 A really old Oak with a hole in its stem. It's totally healthy though! What a great little housie. Also a cellar on the hill where one of the most hilarious and passionate winemakers around passes his days, classifying Sauvignon Blancs as “Dolly Parton wines – easy and with assets,” while Semillons “are more like the girl you want to take home and marry.” It is also here that you can sample cloudy young wines that still taste like sunshine, soil and rains. Winemaker, Andre, pouring us some cloudy sultry semillon. 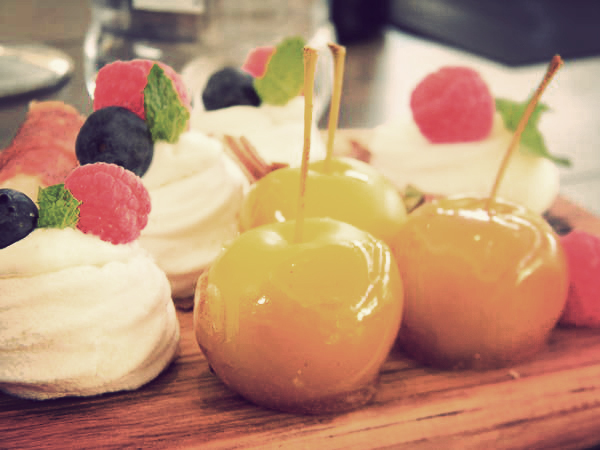 Finally, the Stables restaurant opened up recently and is a definite must-visit for a lazy weekend breakfast or lunch. 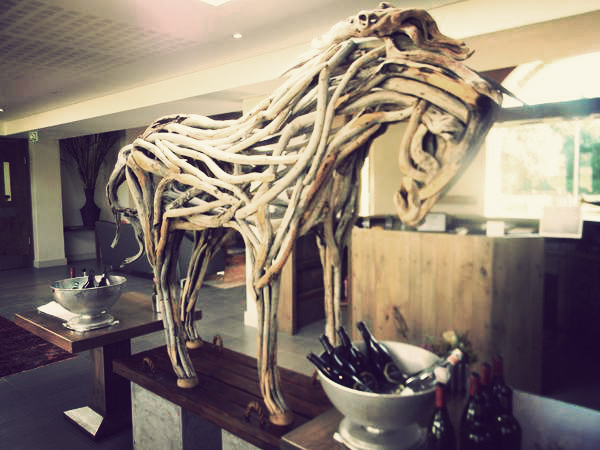 Their food is divine, their decor a minimalistic mix of rustic and modern… and they have a gigantic driftwood horse as a focal art piece. Checks the delightful mini toffee apples. BTW their creme brule is DELISH! The driftwood horse I told you about. Isn't it awesome. I want one. While I’ve never been a HUGE wine farm fan – I mean they’re cool, just not my ultimate sort of venue, you know – I can’t wait to visit Vergelegen again. 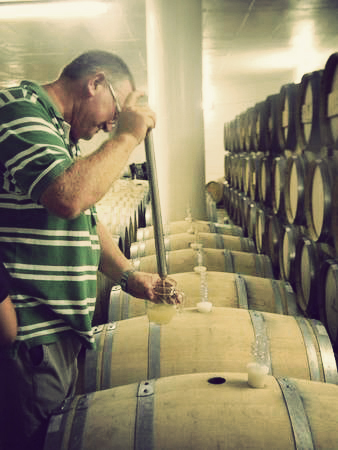 It truly is an awe-inspiring place with a particularly dynamic team, from the MD to the winemaker, to the heritage specialist and the horticulturalist. Cool! I mistook “Security meets elegance” for the caption of the bike picture, and I thought it was quite appropriate! like always: the photos give me a terribly big urge to get in my car and find these, and more, amazing places to walk, eat, experience and just explore! have a good week nadia!